For more than a decade, electric cars have been slowly growing in popularity throughout the United States. As prices continue to fall and the state and federal governments continue to provide incentives in the form of tax breaks, consumers are seeing the benefits. Innovation in the automotive world combined with growing environmental awareness have thrust all-electric vehicles more into the mainstream. Consumer acceptance, government support and the billions of dollars invested by auto manufacturers have been a boon to the industry. 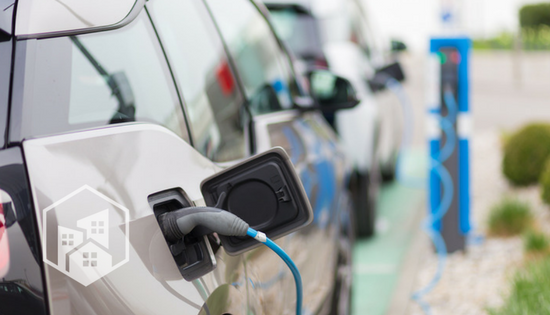 Electric cars are no longer just for the environmentally minded, they now actually make financial sense. But zero-emission cars still lag considerably behind their carbon-emitting, combustion-engine siblings. Looking at historical Google search data for searches involving the term “electric car” dating to January 2004, it would seem that overall interest in all-electric cars has remained flat over the past 13 years. However, the data offers some interesting insights into the consumer sentiment on electric-powered vehicles. The chart below highlights Google search trends for electric cars in the United States between January 2004 and January 2017. The data shows that Google search volume for electric cars corresponds with major economic factors, such as gasoline prices. For example, between April 2008 and July 2008, search volume for the keyword spiked across the nation, hitting its pinnacle in June of that year. During that same time, gas prices in the U.S. hit a record high of $3.27 per gallon on average. In states with historically higher gas prices than the rest of the nation, such as California and Hawaii, search volume for electric cars remains steadily high. Who is searching for ‘electric cars’ on Google? Hawaii, a state known for its higher-than-average gas prices, mostly due to its remote island geography, holds the lead for the state with the most electric car search volume overall, but that hasn’t always been the case. Web searchers in Washington, California and Oregon also have great interest in the keyword. The Google data ranks the 50 states and Washington, D.C., in order of search volume popularity for the keyword “electric cars” from one to 51 – one being the most popular and 51 being the least popular. When gas prices surged in West Coast states in 2011 and 2012, California jumped from No. 51 and 24 on this list in 2010 and 2011, respectively, to No. 5 in 2012. Likewise, Utah went from No. 34 in 2011 to No. 11 in 2012. The top five states for the electric cars keyword popularity are Hawaii, Washington, California, Vermont and Oregon. Washington State has seen a relatively steady search volume for the keyword throughout the 13 years of data, only falling out of the top 10 once in 2005 when it ranked No. 12. Hawaii has been in the top four states for the keyword in all but one year, 2009, when it fell to No. 15. In California, the popularity of the keyword has fluctuated greatly from No. 1 in 2016 to as high as 48 in 2010, but has remained in the top five since 2012. Likewise, Vermont has seen great fluctuation in its interest in the keyword going from No. 1 in 2005 to No. 50 in 2010 and back to No. 4 by 2012. Since then, Vermont has been in the top 5 with California for the search word trend. Who is not searching for ‘electric cars’ on Google? While many states fluctuate in their search volume for the electric cars keyword, others remain fairly steady and that includes those with little to no interest. States in which the keyword holds very little popularity include Virginia (47), New York (47), Louisiana (49), Mississippi (50) and West Virginia (51). While West Virginia’s interest in the keyword has fluctuated significantly moving from No. 3 in 2004 to No. 46 in 2016, New York has consistently ranked low, never ranking higher than No. 40 over the 13 years of data. Similarly, Louisiana has steadily ranked in the high 40s for the keyword except in 2004 when it ranked No. 27. Mississippi has a similar story to West Virginia. The state ranked No. 3 for the keyword in 2004 and No. 51 in 2016. From 2011 on, Mississippi has ranked 42 or higher. Of the five states in which the keyword’s popularity lacks, Virginia has seen the most improvement overall going from No. 41 in 2004 to No. 14 in 2016. Google search trends provide powerful insights into consumer behavior because they give readers a glimpse at certain moments in history and how people reacted to those moments. For example, the spike in the electric car search trend whenever gas prices are on the rise should be of interest to the fossil fuel industry. Spikes in the data are interesting because they are reflective of what’s going on in the world – in this case, a rise in gas prices. But while search trends do seem to spike at times when gas prices are up, the overall trend since 2004 has remained flat. However, that’s in direct contrast with electric car sales. In fact, electric vehicle sales in the U.S. are higher than they’ve ever been, according to a report published by ChargePoint, which operates more than 31,000 electric vehicle chargers in the U.S.
Tesla Model S is by far the best-selling electric car in the U.S., outselling the next closest competitor, the Chevrolet Volt, by nearly two to one in 2016. While technically a plug-in hybrid, the Chevy Volt qualifies as an electric car due to its 70-mile all-electric range capability. The Nissan Leaf, Ford Fusion Energi and Tesla Model X round out the top five for units sold in 2016. Those five vehicles represent 72 percent of all electric vehicle purchases in the U.S. The Google search trend figures are representative of the overall interest in electric cars, not necessarily purchase interest, which is evident by the fact that sales volume has increased significantly faster than search volume. A steady interest with few peaks and valleys is a good sign for the electric car industry. According to the ChargePoint report, 542,000 electric cars have been sold in the U.S. to date. That number, however, includes plug-in hybrid vehicles, which are not included in the Google search trend data. The report says the top five states for electric car purchases are California, Georgia, Washington, Florida and Texas. Hawaii didn’t even make the top 10. States experiencing the fastest electric car growth are Utah, Nevada, North Carolina, Colorado and Kansas, the report says. Again, Hawaii, which consistently ranks No. 1 in terms of search volume for the electric cars keyword, didn’t make the top 10. So what does this mean for the future of electric cars? Stable Google search trends are a good sign because they illustrate a steady interest in a specific search term over a long period of time. As all-electric cars come down in price, sales are expected to surge. Some analysts predict that by 2035, more than 50 percent of all vehicles sold will be all-electric.